Lent is a time of prayer, fasting and almsgiving that leads up to Easter on Ash Wednesday, 6 March 2019, with Lent marking the journey to a new beginning. 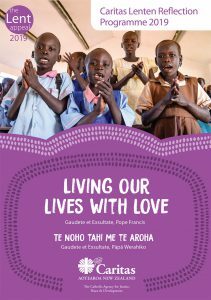 The theme for 2019 is ‘’Living our lives with love”, taken from “Gaudete et Exsultate” by Pope Francis. This theme reflects upon the importance of and the practice of, patience, compassion, mercy and love. The New Zealand’s Catholic Bishops Lent Appeal enables Caritas to continue working to heal and support those overcome by poverty and injustice, around the world. The Lenten season provides an opportunity each year to deepen our faith by reflecting on the Gospels. We are called to open ourselves to changes that God wants to make in us so that we can be the very best we can be, by God’s grace. For many years, Caritas has provided a reflection programme to support parishes, communities and families as they pray and spend time with the Gospels. This year we would also particularly like to encourage anyone who might like to be a Lent speaker within their parish to get in touch with us, and let us know. Support and training will be provided and we would love to hear from you! If you think that you might be interested or have any questions please contact Joanna Viernes: caritas@caritas.org.nz to find out more about being a Lent speaker for 2019. South Sudan is a new nation that gained independence in 2011. It was just beginning to develop when conflict broke-out in July 2016. Since the beginning of the conflict, Caritas Aotearoa NZ has worked with Caritas South Sudan to provide food water and shelter to people who are in desperate need of assistance. An estimated 5.5 million people are facing severe hunger and some 100,000 are facing famine. Figures show that over 1.86 million people are internally displaced, with another 1 million who have taken refuge in Uganda and 2.1 million more people are seeking asylum or have been taking refuge in the surrounding countries. As part of our emergency response, we work with other Caritas agencies to deliver and distribute emergency food supplies; providing shelter and household items such as jerry cans, buckets, seeds and tools. Your donations enable us to respond to major emergencies including the South Sudan, the Rohingya refugee crisis in Bangladesh and helping to repair the significant damage caused by the recent typhoons that hit the Philippines, in October this year. 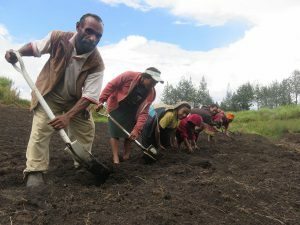 An extreme El Nino weather pattern, which also caused high temperatures and low rainfall, had disastrous effects in Papua New Guinea at the end of 2015 and the beginning of 2016. Since then we have also been assisting villages in four Highlands provinces to mitigate the effect of serious droughts. This has not only included the training of villagers in planting drought-resistant varieties of staple crops, the establishment of nurseries and distribution of seeds, enhancing rain water catchment infrastructure but also providing hygiene training. Response work to this emergency has been an ongoing process as we continue to work with the people of Papua New Guinea, transforming their livelihoods in the face of these serious and ongoing environmental hardships they are being challenged by. Registrations to take part in the Caritas Challenge in 2019 are now open for anyone who would like to participate in this great fun and informative national event that will be taking place across New Zealand. 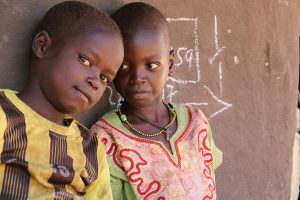 Participating groups can get involved in the Caritas Challenge at any time within the six-week period from 3 May to 16 June 2019.
and issues that are effecting the lives of those living in South Sudan due to conflict and civil war. Caritas has been working in South Sudan since independence. Over this time we have worked widely across the country responding to the needs of the families affected by the crisis. Much of this work is focused upon providing emergency supplies and addressing food shortages. Caritas supports the Church at the national level to promote peace and justice across the whole nation. School resources include a comprehensive teacher booklet (which also includes lessons and prayers for Lent), worksheets, fact-sheets, PowerPoints, posters, games and liturgies, as-well-as online materials and videos. Caritas Justice Leadership Days are whole-day workshops for senior secondary school students, focusing on social justice issues around the world, including Aotearoa New Zealand. 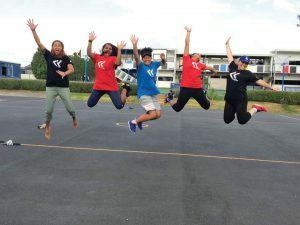 Participating students can learn in a fun and interactive environment about how they can become a social justice leader within their school communities, and every Catholic secondary school in New Zealand is invited to bring up to 12 senior students (Years 12-13), along to the workshops being held. Caritas Aotearoa New Zealand is the New Zealand Catholic Bishops’ agency for justice, peace and development. In partnership with communities, dioceses and parishes we undertake human development that will sustain families and communities, emergency relief, education and advocating for lasting change. Gospel values and Catholic social teaching principles underpin our work, and we are part of Caritas Internationalis, one of the largest humanitarian networks in the world. The Caritas network operates around the world in over 200 countries and territories, supporting poor and vulnerable communities, regardless of ethnicity, religion or nationality. The ongoing support from generous donors enables us to continue our development, emergency relief, advocacy and education work around the world, including in Aotearoa New Zealand. 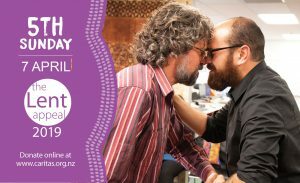 Donations to the Bishops’ Lent Appeal enable Caritas Aotearoa New Zealand’s work helping poor and vulnerable communities around the world, including here in New Zealand. Donate throughout the weeks of Lent, or make a one-off donation using the Lent Appeal weekly or single donation envelopes distributed by your Parish. Leave donation envelopes in your parish collection basket or post to Caritas: PO BOX 12193, Wellington 6144.